ZIMBABWE – Iran has congratulated President Mugabe for successfully steering the African Union and Southern African Development Committee during his chairmanship of the two organisations. President Mugabe handed over the AU chairmanship to Chad’s President Idriss Deby Itno at the 26th Summit in Addis Ababa, Ethiopia, last month after steering the grouping to achieving financial autonomy by enhancing internal resource mobilisation. Speaking on the occasion of the 37th anniversary of the Islamic Revolution of Iran celebrated in Harare on Thursday, Iranian Ambassador to Zimbabwe Mr Mohammad Amin Nejad also hailed the relations between Harare and Tehran. 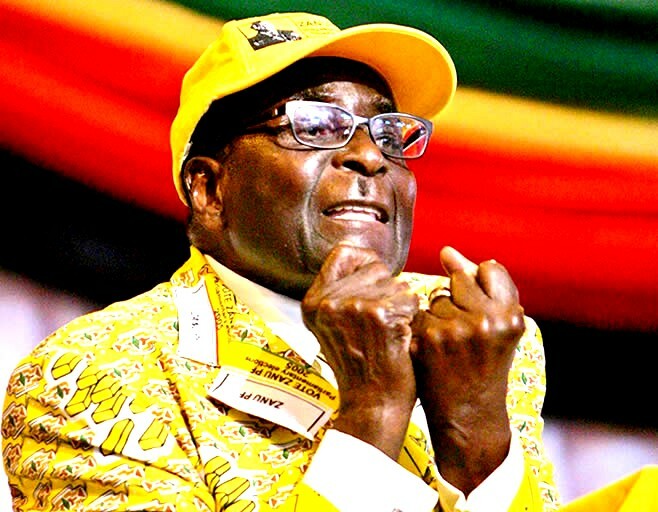 “Allow me at this juncture, to say a few words vis-a-vis the friendly Zimbabwe-Iran relations and to congratulate Zimbabwe on the successful chairmanship of the African Union and Southern African Development Community,” he said. Ambassador Nejad said Zimbabwe and Iran have set a new stage of relations which must be propelled to further heights to enable more mutual beneficial cooperation. Ambassador Jonathan Wutawunashe, who represented the Ministry of Foreign Affairs, said Zimbabwe cherished relations between the countries. “We appreciate the close relations we have enjoyed with the Islamic Republic of Iran since our independence,” he said. “We are committed to further strengthen these relations through exploring economic and other opportunities that will be of mutual benefit to our two countries.